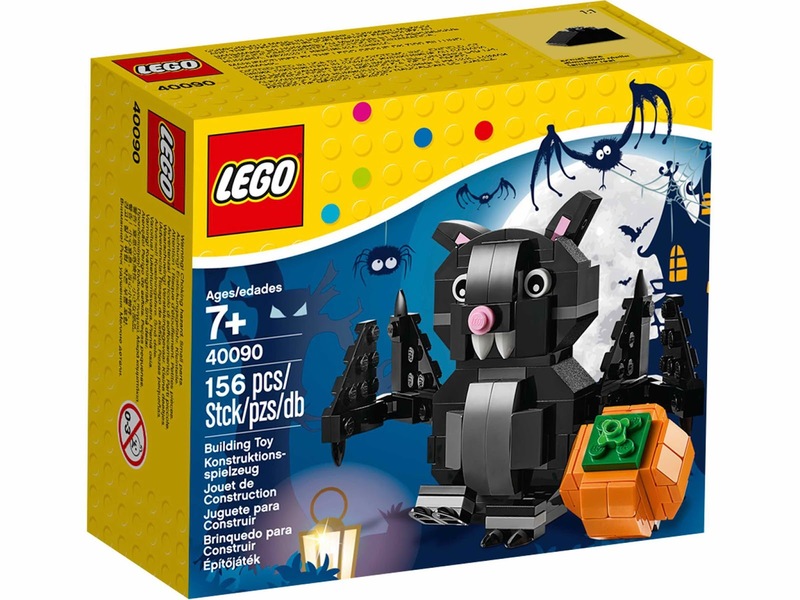 come with a halloween bat. 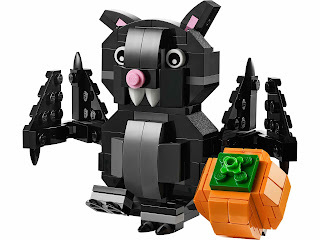 the bat has movable wings, feet and ears and a big orange pumpkin. 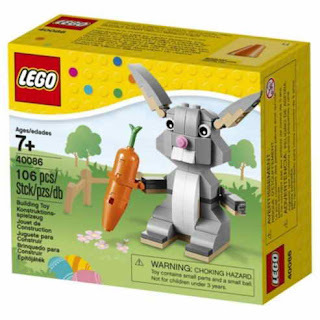 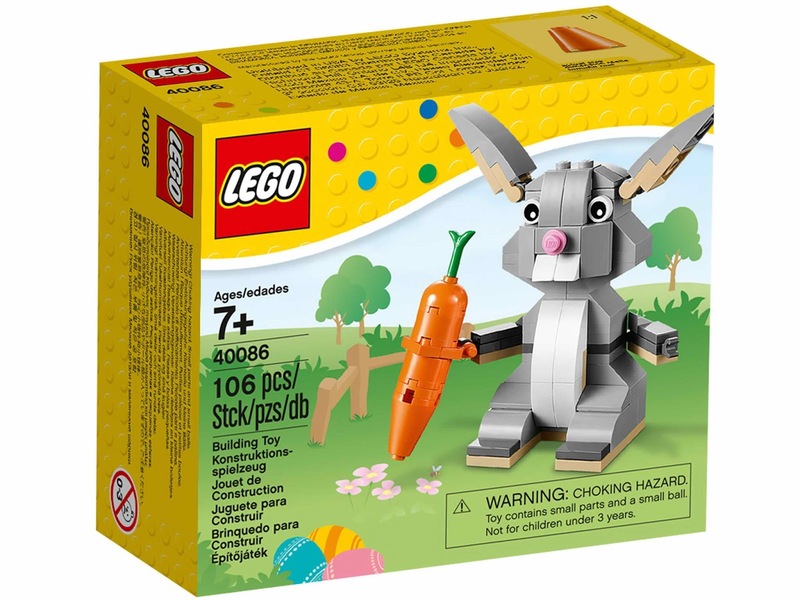 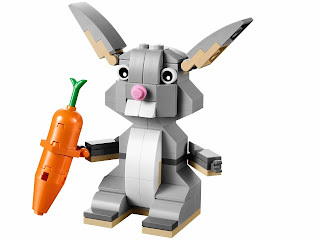 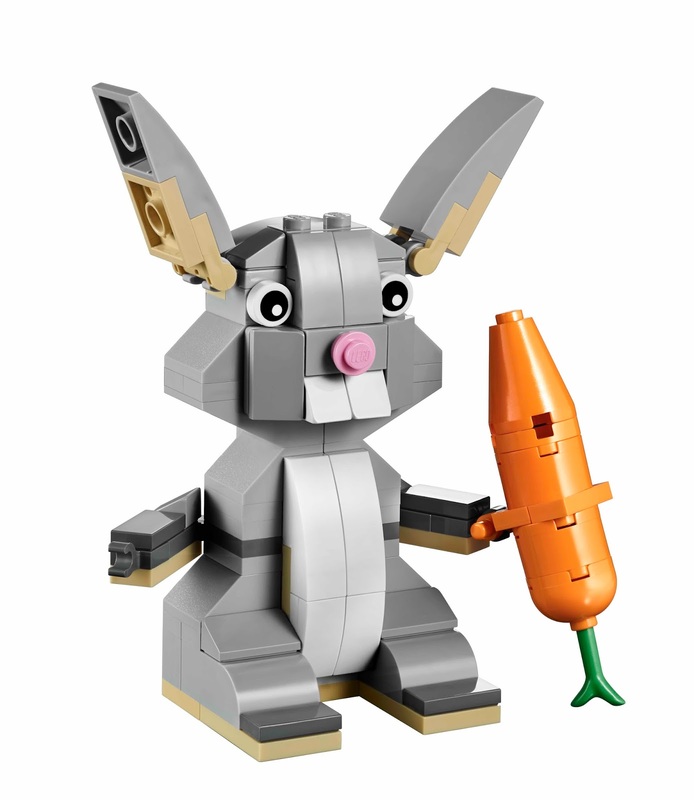 come with a LEGO easter bunny. the bear has movable ears, arms and legs and a big orange carrot.